"ISHR mission is education and learning for Human Rights"
First annual Eleanor Roosevelt Human Rights Day Essay Contest for grades 4, 5, 8, and 9. The purpose of this essay contest is to promote and improve student writing abilities as well as increase student awareness and knowledge of the United Nations Universal Declaration of Human Rights. December 10, 2018 marks the 70th anniversary of the Declaration. For additional information, see: http://www.un.org/en/events/humanrightsday/. 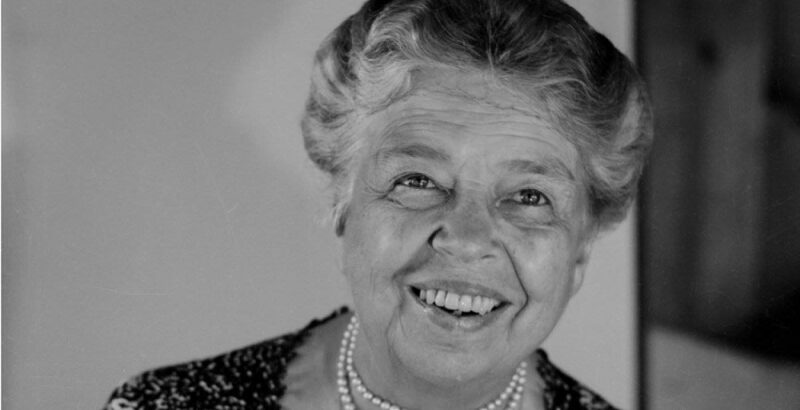 First Lady Eleanor Roosevelt played a key role as chairperson of the drafting committee of the Universal Declaration of Human Rights and to honor her role, the essay contest has been named after her. 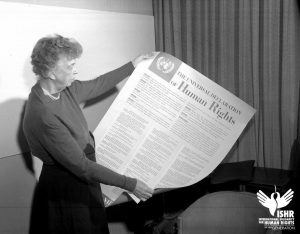 To learn more about Eleanor Roosevelt’s role in the Universal Declaration of Human Rights, see: https://www.humanrights.com/voices-for-human-rights/eleanor-roosevelt.html. * Have students review the United Nation’s Declaration of Human Rights. Write an essay providing your opinion about what the quote means and how the United Nations’ Declaration of Human Rights helps the world to use their hearts. * Schools are to conduct their own internal essay contest and are permitted to submit the top two essays per grade level (grades 4, 5, 8, or 9 only) to the District competition. * Schools are highly encouraged to establish a school site deadline a week prior to the District deadline for all entries to be evaluated by school personnel. * Submissions are due on or before Monday, December 10, 2018 by 5:00 p.m. EST. * Schools can either drop off the essays at the Department of Social Sciences, SBAB Annex, 1501 NE 2nd Avenue, Suite 326 B, or send them via FAX, 305 995-1492. * 3rd place: $25.00 gift certificate. 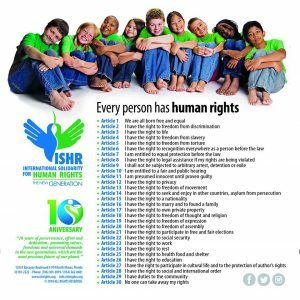 "ISHR is passionate about human rights education and learning"